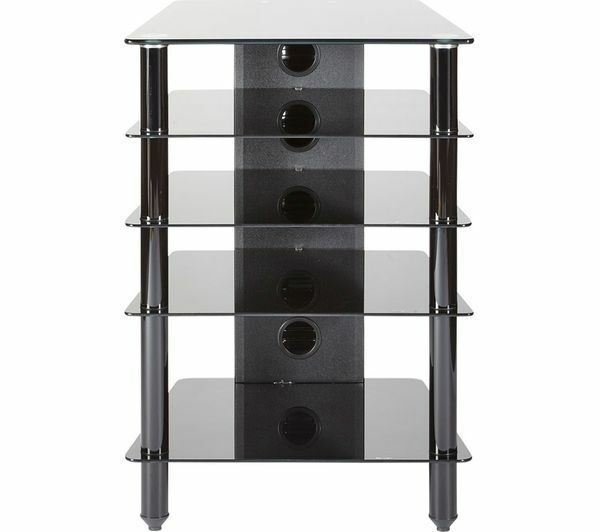 Store your important audio equipment with the stylish MMT Vibe HFBLK610 Hi-Fi Stand, with glass shelves and steel legs. 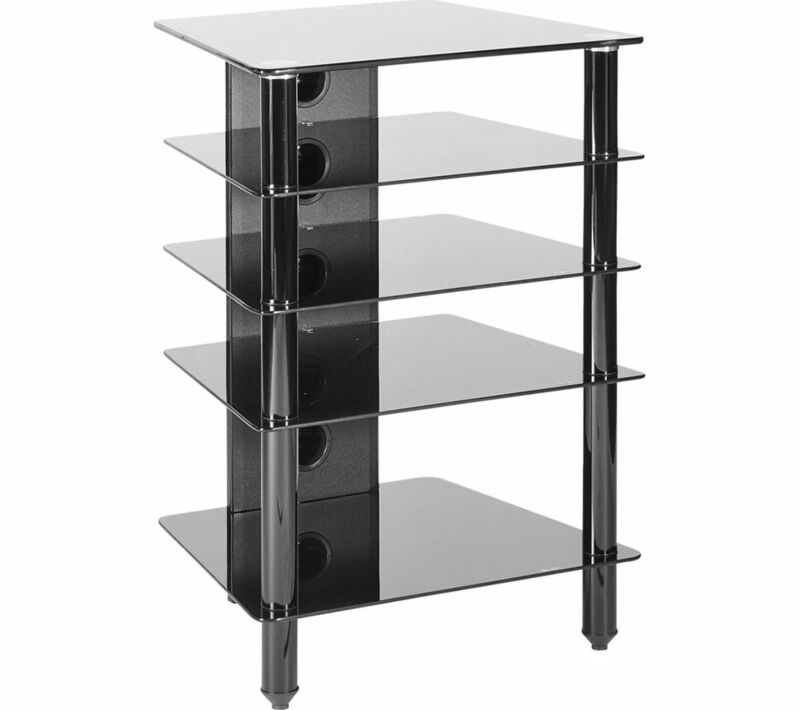 It features five shelves to store all of your accessories, or shelves can be removed if more space is required. Cable management slots at the rear hide your wires, which are then covered by plastic blanking to ensure everything looks neat and organised.